The explosion of big data has played a role in making personally identifiable information (PII) more vulnerable to unauthorized access. 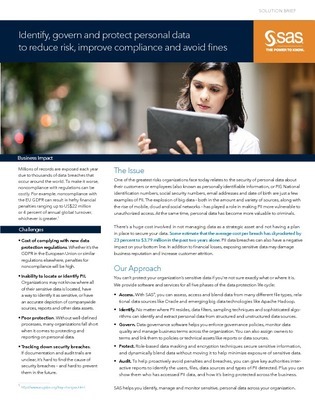 A data breach could ruin your organization’s reputation and negatively affect its bottom line. In this white paper, learn the 5-phase data protection cycle that could protect your organization’s data – plus, additional best practices for protecting PII.